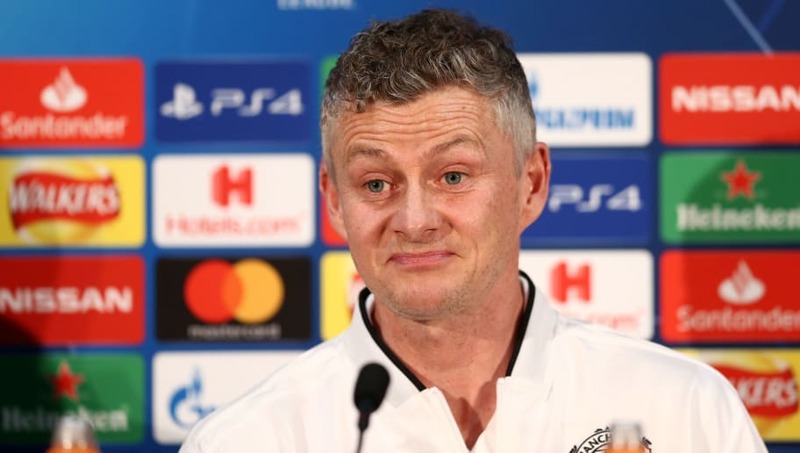 ​Manchester United caretaker manager Ole Gunnar Solskjaer has confirmed that he has an almost fully fit squad ahead of Tuesday night's clash with Paris Saint-Germain at Old Trafford, with only defensive pair Antonio Valencia and Matteo Darmain unavailable. Solskjaer, who recorded a 10th in 11 games as United's interim boss over the weekend, otherwise has a 'big, strong and healthy squad' to choose from as the club looks to win only a second Champions League knockout game since 2011. "We're missing Antonio and Matteo - they're the two that are not available. It's a big, strong and healthy squad which is always [good] when the big games come up - many to pick from," the Norwegian said, via ManUtd.com. It means that Marcus Rashford, who was rested for Saturday's win at Craven Cottage, and Victor Lindelof, who was unavailable with a minor knock, could return to the starting XI. PSG's glittering front three has been obliterated, with only Kylian Mbappe set to play. Neymar will miss the game after suffering a broken metatarsal last month, while Edinson Cavani, who has scored close to 300 club goals since 2010, is also now a major doubt with hip trouble. "We're giving us the best possible opportunity on the way we've gone into this game now, because we're confident," he said, via ManUtd.com. "We've found out what kind of team we have, we're looking like a team. We're agreeing on how we should approach games. So, if there was ever a chance or any time to go into big games like this, it's now for us," he added.